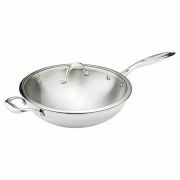 We discussed earlier that woks are often used with bamboo steamers to braise and steam. 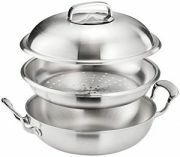 If you choose a wok with a lid you can also replicate this cooking method simply. 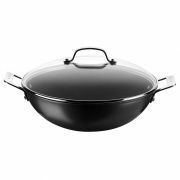 Just add liquid to your wok and secure the lid to achieve perfect steamed results that would equal any professional chef.